Did you ever wonder how cool you could make the world of Batman look if all you had was an Etch-A-Sketch with one of the knobs broken? Well, wonder no more! 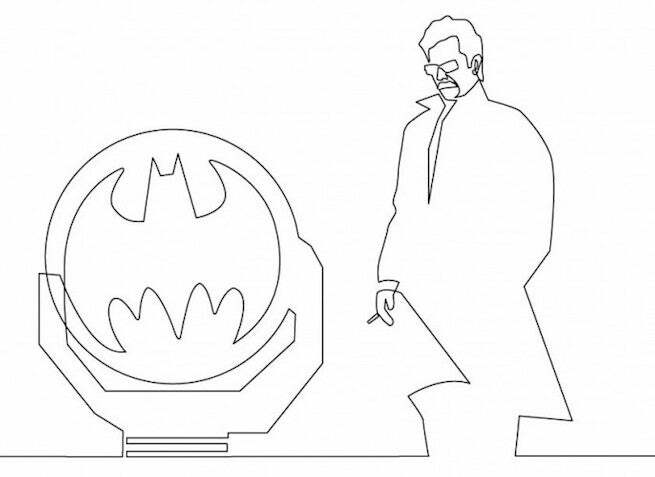 French minimalist illustrator Qui Be, working with Geek-Art and French Paper Art Club, has created a series of impressive one-line images featuring iconic characters from Gotham City.